SAME HAT! 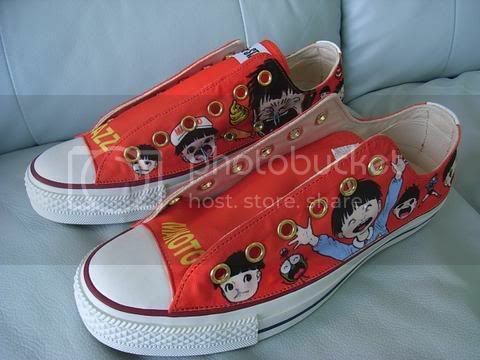 : COMMEMORATIVE KAZUO UMEZU SNEAKERS! I just noticed that Umezu (or perhaps it's Demerin, his webmaster/assistant) has been updating his offical Picasa Web Album. 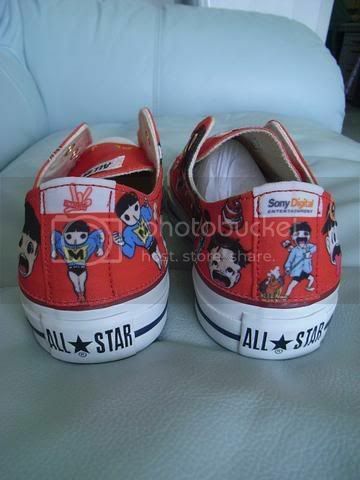 The latest addition: Commemorative Umezu Chuck Taylors! 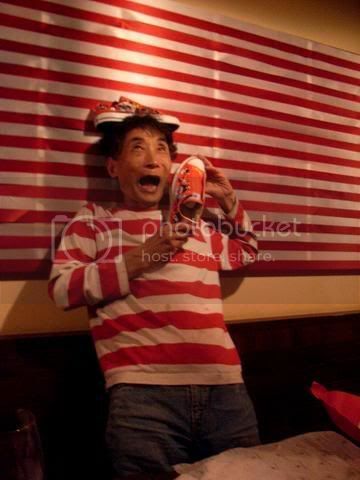 "These special edition sneakers were given to Kazuo Umezu from the staff of the 'UMEZUMA' mobile site in commemoration of Umezu's 71st birthday!" i don't even know...i mean, WOW. i've made it my life mission to track down those shoes now and give them to you like 10 years from now when you've totally forgotten about them. 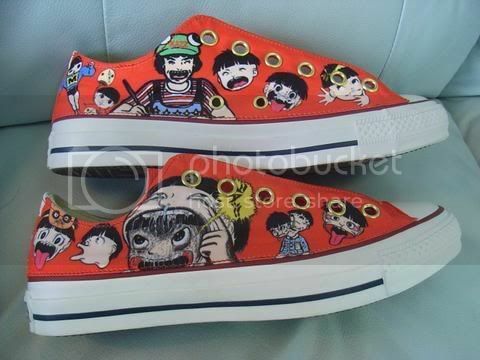 Give them to me on MY 71st birthday. Hey, do you guys have any recommendations for absurd humor manga (or possibly anime)? Anything Monty Pythonish is fine, and I like stories that play with the usual rules of storytelling, perhaps going off into irrelevant and increasingly absurd tangents. I like parts of Cromartie High School, Bobobo-bo Bo-bobo and (especially) Gyagu Manga Biyori, and I'm going to buy Tooku e Ikitai soon. Any others? Or... A karaoke booth that is his office? Also whoa, his birthday is the day before mine. Just a day too late! Now I only share it with Mike Piazza, Beyonce, and one of the Wayans Brothers. Hey, space-time continuum: trade ya? THE BEST POSSIBLE TEZUKA NEWS!